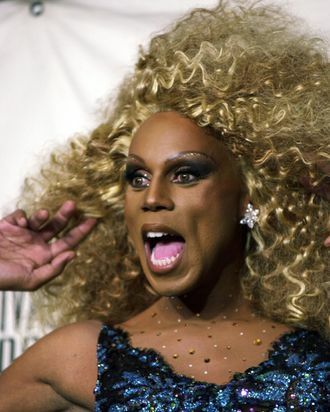 RuPaul, America’s most beloved drag queen, hit the campaign trail in New Hampshire this weekend to remind voters that he is not Ron Paul and is not running for president. The host of Drag Race visited the Red Arrow Diner Saturday, a must-stop for campaigners, and encouraged the younger-than-usual crowd to get out and vote. He also reminded voters that while he might not be running for office, he has a few things in common with our founding fathers. “Remember, this country was founded by a bunch of men wearing wigs!” he said.